Oct 22 "80 Handmade Gifts" book by Kristin Omdahl is now available for Pre-Order! 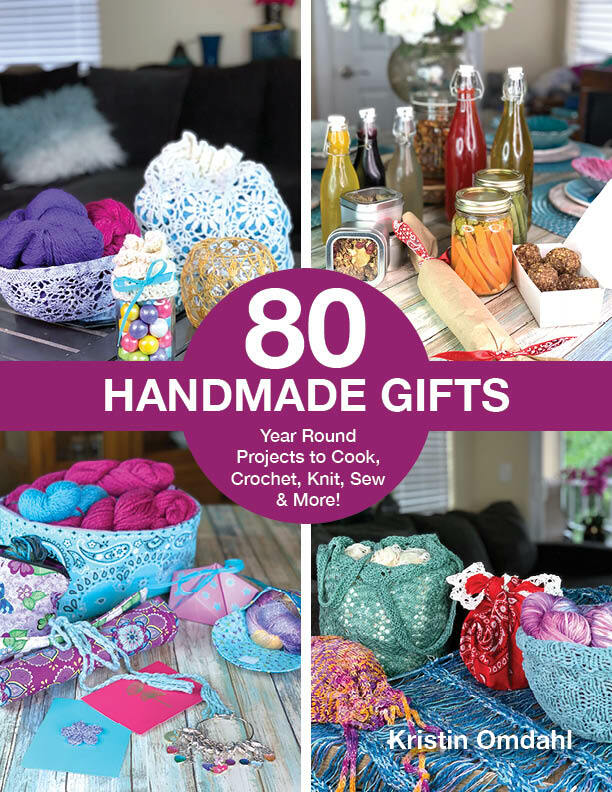 I am so excited to announce that 80 Handmade Gifts book is available for Pre-Order! For those of you who join me for my daily podcast, you know how long we have been working on this amazing book! For a limited time only, the ebook will be included FREE with purchase of the print book during Pre-Order Sales only. Afterward, print and digital copies will be sold separately. Year-Round Projects to Cook, Crochet, Knit, Sew & More! 80 Handmade Gifts is your new, go-to guide for making handmade gifts anyone would love. A perfect reference to keep on hand for holidays, birthdays, and last-minute gifting opportunities year-round, including hostess, get well soon, thank you, or no-reason-at-all gifts. This collection includes many kid-friendly projects. Bond with your loved ones and teach the next generation to create, share, and inspire others. This collection of projects was curated with usefulness in mind: a gift that can be used regularly is the gift that keeps on giving. Choose a quick and easy project from a wide variety of disciplines including: knitting, crochet, sewing, paper crafts, cooking and more. You are sure to find the perfect gift! Each project includes step-by-step instructions, clear photographs plus variations, to help you make each gift a one-of-a-kind. 22 recipes for savory and sweet treats to make and gift year round. Granola, Chai Spice, Spiced Nuts, Baklava Balls, Toffee, Simple Syrups, Garlic infused Oil, Fruit Vinegar, Lemon Blueberry Mini Loaf Cakes, Lime Raspberry Loaf Cake, Orange Cardamom Mini Muffins, Sweet Pickled Relish, Moroccan Pickled Carrots, Asian Pickled Green Beans, Truffles, Cheese Log, Cheese Crackers, Quinoa Crackers, Cashew Cream, Cocoa Mixes, Flavored Sugars, and Peach Chutney. 24 projects from jewelry to home decor - there is something for everyone! Marlene Bag, Hope Case, Abigail Bag, Jennifer Bowl, Belle Napkin, Cami Scarf, Celeste Earrings, Olivia Shawl, Felicia Mobius Cowl, Lexi Washcloth, Kate Trivet, Sami Trivet, Nicole Washcloth, Mimi Candle Holder, Melanie Candle Holder, Caroline Candle Holder, Gabi Candle Holder, Grace Bracelet, Rachel Necklace, Amanda Necklace, Liz Necklace, Kelly Earrings, Tanya Jar Topper, and Dana Earrings. 20 projects from jewelry to home decor - there is something for everyone! Maggie Bag, Caliope Bag, Carrie Bag, Courtney Bowl, Carly Napkin, Ciara Scarf, Arianna Earrings, Kimberly Necklace Cowl, Nina Shawl, Iris Mobius Cowl, Chelsea Washcloth, Khloe Bowl, Vivian Small Nesting Basket, Cassie Medium Nesting Basket, Eve Large Nesting Basket, Lani Jar Topper, Mia Bracelet, Donna Necklace, Paulina Necklace, and Bridget Bracelet. 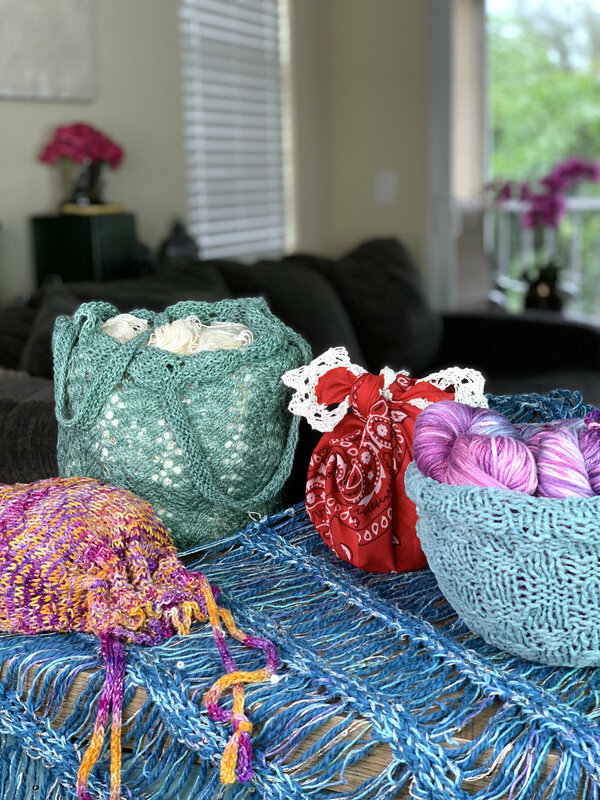 19 projects from cards to boxes to bags - there is something for everyone! Eden Card, Julia Card, Lenora Card, Gina Card, Sophia Box, Augusta Basket, Henrietta Box, Victoria Box, Cassandra Box, Pearl Apron, Heather Roll, Reese Bag, Sasha Stitch Markers, Emily Eye Pillow, Alice Bag, Annie Pouch, Ada Roll, Margot Pouch, and Greta Bath Bombs.